Janet grew up in a military family and traveled quite extensively. She spent 35 years as a nurse at Warren General Hospital in Pennsylvania. Janet has been very active in Falconer Rotary and the Fenton History Center! Janet admitted she has a lifelong obsession with Genealogy. She explained Genealogy as the search of the stories of your family history. This also includes the unique story of your distant ancestors. Janet herself become interested in family history while in Junior high school. Very interesting to her. Maternal grandparent were immigrants. One from England and from Scotland. Her family itself was obsessed with history. It was only natural for her to catch the bug as well! Ask everyone to bring their boxes of photos to a family reunion and take digital photos. Once you have gathered the above, you are ready to investigate your family history. Start with yourself and move backwards listing surname, forname, middle name, birth date, birth place, marriage date, marriage place, death date, death place, etc. Do this all nice and neat in a notebook or on your computer. If possible, locate the missing info before continuing to move backwards in your family history. You are going to find you need lots of help. The Prendergast Library and the Hall House at the Fenton History Center can assist with getting you started in Genealogy. 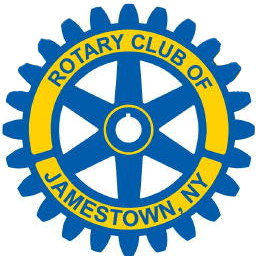 There are a lot of resources available in Chautauqua County and Jamestown in particular. Prendergast Library is free. Hall House is $10 per day or $40 for an entire year. There are also local libraries and churches and a few historical societies. Not everything is on the internet!!!! Although there are great places to do research online. Ancestory.com is a good web site to use. Many ways to maximize your dollar with a 14 day free trial! Really dedicate an hour or two every single day to try and do the research in that two week window. Can use Ancestory.com at the Prendergast for free and for a fee at the Hall House at Fenton. Janet mentioned that stories of people are very interesting. She had a lot of family members who were veterans. Some from the War of 1812 and others. Janet also shared some wonderful stories with us about her family from historical perspectives. She found her family had many connections to New England and the Boston area. Road trips are also part of the Genealogy experience. Janet travels to Salt Lake City every year for a couple weeks. And, has traveled to other areas as well to do some of her Genealogy research. We had the privilege to be a part of a fascinating interview of author Janet Northrup today. 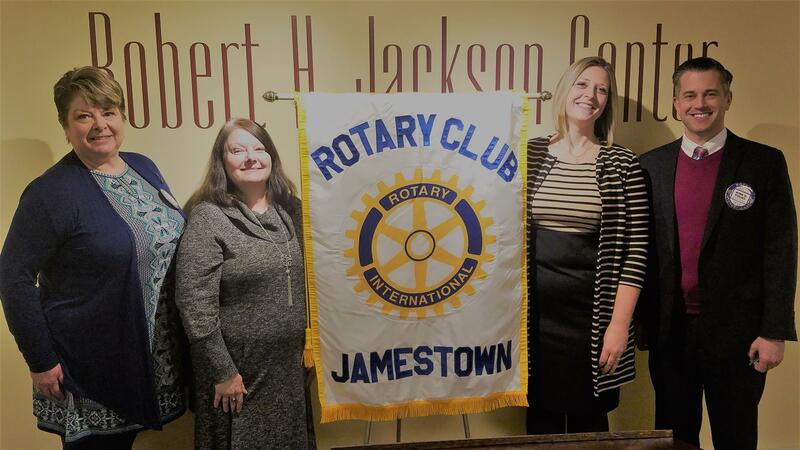 Janet was raised in Jamestown where she attended family events at the Consistory, now the Robert H. Jackson Center. Her father and grandfather were Masons. Janet taught English Language Arts in Fairport, NY. She wrote the book Founding Women: Inspiration and Impact on Chautauqua and the Nation for the Chautauqua Women's Club. Janet sat across from Greg Peterson, who led the interview (which was also recorded). In attendance were several of the RHJ Center's docents, who lead tours around the facility. They were there to glean from some of great information Janet was about to provide. To begin, we learned that Greg and Janet lived in the same neighborhood of Jamestown. As the interview progressed, we first learned that the Jackson Center has had 5 owners since it was built back in 1859. The architects were Warren and Wetmore. According to Wikipedia, Warren and Wetmore was an architecture firm in New York City which was a partnership between Whitney Warren (1864–1943) and Charles Delevan Wetmore (June 10, 1866 – May 8, 1941), that had one of the most extensive practices of its time and was known for the designing of large hotels. Among Warren and Wetmore's accomplishments are Grand Central Terminal and several other train terminals here in the U.S. and abroad. The Jackson Center mansion was also the first permanent residence in Jamestown as it was built with brick. The first owner was Alonzo Kent, who came to Jamestown from Vermont with no money and just a few meager possessions. Over time, he gathered wealth, and actually donated $10,000 to the Methodist Church to buy property along Chautauqua Lake where Chautauqua Institution now sits. Alonzo and his wife Mercy had 5 children, 3 of which who reached adulthood, but later moved away from Jamestown. Janet told a story of a visit made in the 1870's by Ulysses S. Grant who was traveling through the region. When Alonzo Kent was asked to host lunch with Grant, he initially declined because he felt his home wasn't good enough to host the President. Since then, the mansion and center have hosted several dignitaries. The second owner of the mansion was Alba Kent and Rose Hall Wetmore Kent. Alba also built the Kent House Hotel in Lakewood, and bred Black Angus cattle (one of the first people to do so in the U.S.). The Kent House burned down, and the location where it stood is now where the Yacht Club stands. Rose had amassed a fortune because her first husband, C.C. Wetmore, left her all his money. Born in Busti, Rose's family owned huge amounts of land in Chautauqua County. Rose was also a member of the Christian Scientist Church, and reportedly had a tunnel built between the mansion and the church across the street so she come and go as she pleased. Rose's son also lived in NYC and would often bring famous friends of his home to preform at theaters in Jamestown. During this portion of the interview, Janet also mentioned that were we meet each Monday was originally where the horse stables were for the mansion. When the Jamestown Consistory bought the building in 1920 (for $20,000), they transformed the space into what it is today. It is believed that Lucille Ball performed on the Consistory stage a time or two. Janet recalled coming to the Consistory as a child and learning to play billiards in the 2nd floor billiards room. She was also amazed that when her and her friends were brought to meetings, they were left to roam the building as they pleased. The Jamestown Consistory Rose Croix Chapter owned the building from 1920 to 2001. After sitting empty for nearly 2 years, the Robert H. Jackson Center purchased the facility, and has been there ever since. 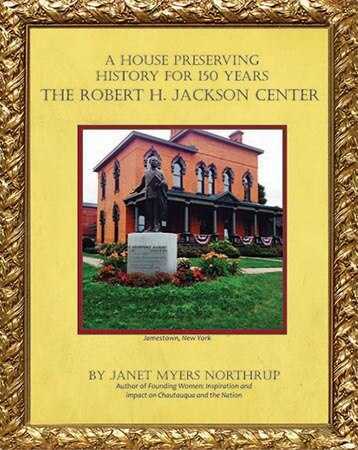 We all marveled at the tales told by Janet, and many of us were eager to buy a copy of her book A House Preserving History For 150 Years The Robert H. Jackson Center. 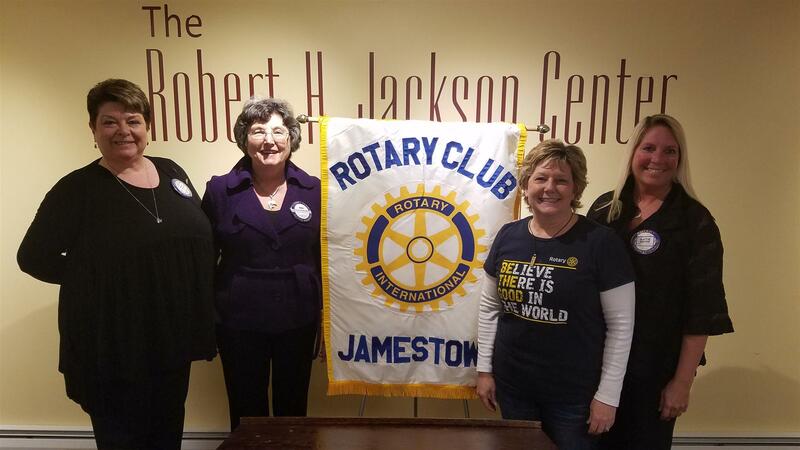 In honor of her attendance and presentation, a donation was made to the End Polio Now Campaign, which Janet was very happy to learn. Katie Geise had the honor of introducing today's speaker; Terri Johnson. Terri oversees The Resource Center's SAFER Program, and also co-chairs the Toys for Tots campaign locally. Thanks to a grant from the Empire State Poverty Reduction Initiative (ESPRI) and management by the United Way, a task force was originally formed to begin the process of creating the SAFER Program. Requests for Proposals were sent out with many of them focused on education. According to release on the Resource Center's website, SAFER is intended to support people living in ALICE (Asset Limited, Income Constrained, Employed) households to maintain successful employment. The main goals are to assist employees and connect them to the services they need; this, in turn, will help increase retention and the overall success of the businesses involved. The SAFER program focuses on two key drivers; support for employees and support for employers. Again according to the Resource Center website, another primary goal of SAFER is to educate business owners about the challenges experienced by their employees living in poverty. Terri said that the support for employees includes education on key issues, effective interventions to engage the workforce, and Emergency Assistance Funds to assist in allowing employees to be able to continue to come to work. So what's in it for the business? Terri said it's free! It also provides additional training for employees on how to assist their work force, assist in understanding their turnover and costs, and develop a plan for retention. There is a lot of support for employees including housing, childcare, transportation, help with legal concerns, and more. Seven businesses have signed up so far, and 45 people are being assisted. The businesses that currently are participating in SAFER are Artone, Fancher Chair, Heritage Ministries, I-86 Truck Repair, Lake View Cemetery Association, Lutheran Jamestown, and UPMC Chautauqua. Through the SAFER program The Resource Center also is collaborating with other organizations that received ESPRI grants, including the Mental Health Association and the YWCA of Jamestown. Employment facilitation includes staff on site at least weekly for employer and employee support, on-call support, monthly trainings, Emergency Assistance Funding, success coaches who complete and assessment and develops a plan for each person and establishes goals. They also help employees navigate the system. In conclusion, Terri is hoping to offer the SAFER program past the end of the grant period. We thanked Terri for a great presentation and wished her the best. A very interesting presentation regarding the Single Parents Reaching Education to Employment, or SPREE program at Jamestown Community College was given this day. JCC Vice President Kirk Young introduced Linda DeJoseph and Beth Starks to the members. Linda is the SPREE Project Navigator, while Beth is an Asst. 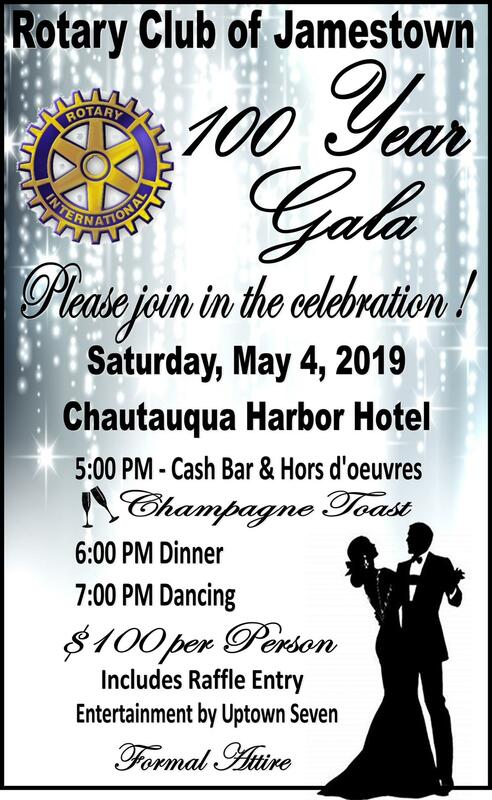 Professor at JCC and also Executive Director of the Chautauqua Lake Child Care Center. Beth gave a little history of SPREE. It began with funding from the WNY Women's Foundation and funding from ESPRI. JCC's SPREE program is modeled off of a similar program at Erie Community College. The SPREE program began as a way to help single parents get to college and stay in college. 61% of single parents in Jamestown live in poverty, according to Beth. So, helping them reach higher education means they can make more money, and help their families. Many of the situations SPREE deals with are students who can't complete their education because of work, transportation issues, housing issues, etc. SPREE uses a 2-generational approach where by helping the parent helps the family. Linda took over at this point, and said the goal of the ESPRI grant for SPREE is to help 50 individuals, men and women. The funding from the WNY Women's Foundation can only be used to help women, and that too has a goal of 50. SPREE gives single-parents access to soft-skills training, resume building, and more, and makes it available at times that are convenient to the students as they can't always be on campus at normal hours. Linda said they do a lot of community outreach, but have had mixed success due to so many barriers. They want to collaborate with the community, and not just JCC. They also take SNAP applications as well, which is very helpful for the single-parent students. Bottom line, SPREE is looking to serve parents! The program has been running for a year now, and while they have served 54 students, they haven't reached their goal of 100. As word of mouth spreads about the program, they have noticed an increase of students taking advantage of SPREE. Linda did mention that 94 children have been helped through the program as well. An event for the families is held in the Spring and Fall at JCC as a way to show additional support. One of the biggest issue's students have faced is transportation. There are also issues with housing that they try to help with too, such as battling landlords who try to take advantage of the students and their families. They do have emergency funds available for certain cases, such as paying for a bus pass. In the end, the students who participate in SPREE are very proud. The grant ends this summer, and they are looking for other sources of money. They will continue to track this year's students through 2020. 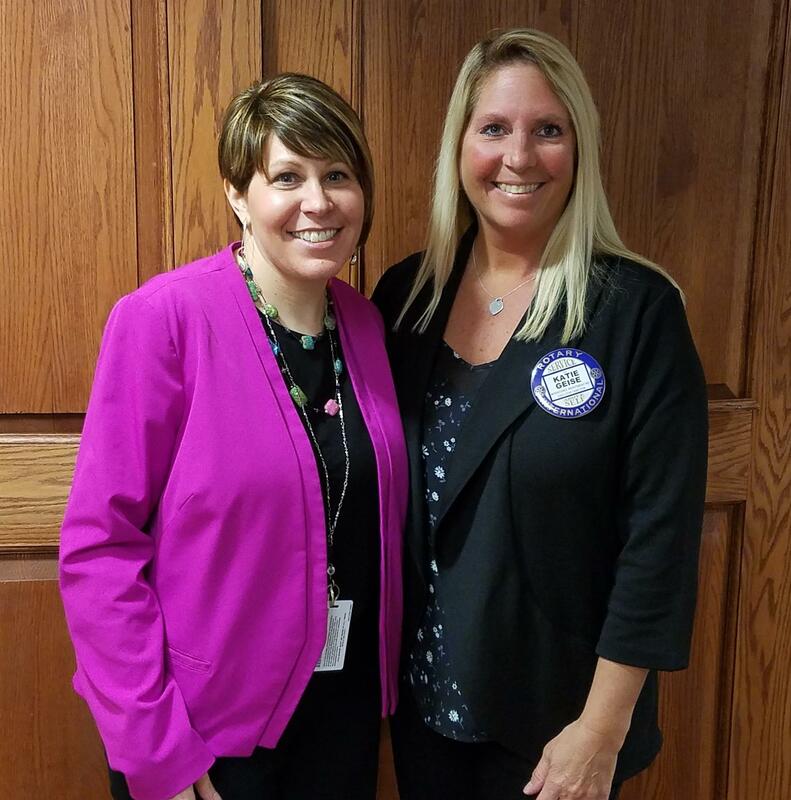 We thanked Beth and Linda for a wonderful presentation! New JCC President Daniel DeMarte was introduced by club member, Dr. Kirk Young. A graduate of Archbishop Walsh High School in Olean, DeMarte earned a doctorate in higher education administration with a specialization in community colleges at North Carolina State University. He earned a master’s degree in student personnel administration at Buffalo State College, a bachelor’s degree in political science at the University at Buffalo, and an associate’s degree at Alfred State College. DeMarte served in the U.S. Air Force from 1985-1989. He began his college education at the Community College of the Air Force while serving on active duty. Most recently, he served as executive vice president for academic and student affairs at Tidewater Community College, VA. DeMarte previously served as vice provost for student and learning development at Macomb Community College. He also served as vice president for learning at Northeast Wisconsin Technical College, and began his career at Genesee Community College. As part of his presentation, President DeMarte focused on sharing a portion of JCC’s upcoming strategic plan. Leadership is currently working on a three year strategic plan. There are 7 strategic directions. President DeMarte shared 4 of those with the club. Programs – there will be a focus on looking at JCC’s academic and workforce programs. For most of JCC’s 68-year history, they have done well with transfer programs, etc. JCC must also focus on workforce readiness programs as well. To that end, JCC introduced the workforce readiness scholarship. The leadership team is also looking at potential programs in agri-business, clean energy, culinary/hospitality as well as manufacturing technology focused around robotics and automation. Enrollment – JCC is in the 8th consecutive year of declining enrollment. It is a trend that many community colleges are currently experiencing. JCC does have a strong international and athletic-based enrollment. The plan is to increase international student enrollment from 30 to 100 international students in the next 3 years. Many international students want to stay and work in the United States. JCC also has a long history with strong athletics. As such, the plan is to update the athletic facilities and bring them into the 21st century. One of the focuses of an enrollment initiative will be to prepare for a more diverse student body. JCC also needs to excel at recruiting outside of the area because Chautauqua and Cattaraugus Counties are declining in population. Modernize Operating Budget and Fundraising Strategy – JCC’s operating budget has been on “autopilot” since 1996. Conversations are underway to move towards a smarter model that will give JCC more stability within an era of declining enrollments. President DeMarte also stated that JCC plans to move forward on capital campaigns to update their physical plant. This will require a very aggressive fundraising strategy and commitment from the community. 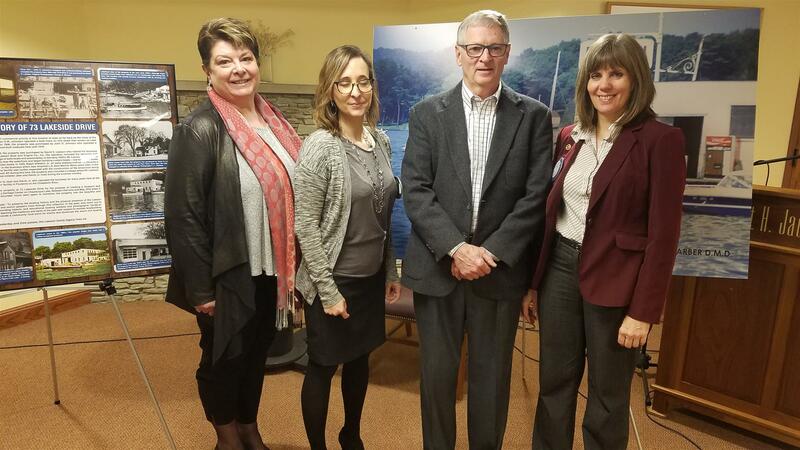 Building Collaboration and Shared Goals – The last strategic direction President DeMarte share was the need to leverage assets with public and private agencies where JCC shares common goals. I.E. Chautauqua Institutions, Jamestown High School, SUNY Fredonia. For more detailed information about JCC, please visit their web site at www.sunyjcc.edu.